On March 21st, poetry is celebrated and recognized worldwide for its ability to call to and capture the creative spirit of the human mind. By declaring March 21st as World Poetry Day in 1999, the United Nations promotes and furthers the significant impact that poetry has on the communicative and linguistic diversity of mankind. Fordham Press proudly commemorates World Poetry Day and has curated a collection of poetic works that beautifully illustrate the artistic form. Sold proudly by Fordham Press here. The New York Editions borrows its title from The New York Edition, Henry James’s name for Scribner’s 1907-09 re-issue of his life-long output of novels and shorter fiction. 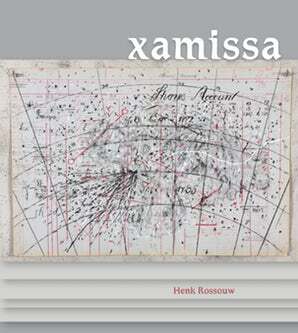 These mesmeric poems are experimental meditations on the limbo of lost-in-translation as a multi-axial bardo between multiples lives and texts and those that follow, which they might foreseeably become were these poems not so distinctly wed to a jewel-like present tense driven by no single aesthetic principle save the one it immanently navigates. In 1912 the State of Maine forcibly evicted an interracial community of roughly forty-five people from Malaga Island, a small island off the coast of Phippsburg, Maine. Midden confronts the events and over one hundred years of silence that surround this shameful incident in Maine’s history. 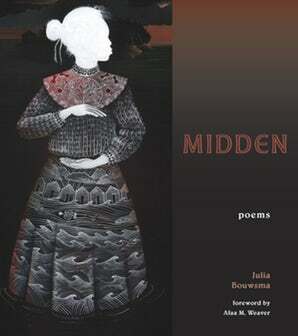 Utilizing a wide range of poetic styles―epistolary poems to ghosts, persona poems, erasure poems, interior poems, interviews and instructions, poems framed both in the past and in the present―Midden delves into the vital connections between land, identity, and narrative and asks how we can heal the generations and legacies of damage that result when all three of these are deliberately taken in an attempt to rob people of their very humanity. The book is a poetic excavation of loss, a carving of the landscape of memory, and a reckoning with and tribute to the ghosts we carry and step over, often without our even knowing it. Ezra Pound’s Cathay (1915) is a masterpiece both of modernism and of world literature. The muscular precision of images that mark Pound’s translations helped establish a modern style for American literature, at the same time creating a thirst for classical Chinese poetry in English. 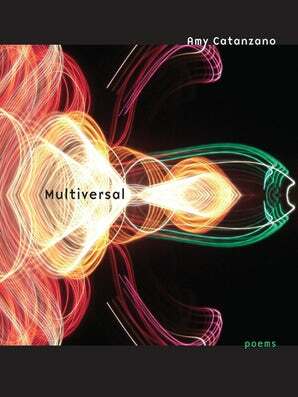 Pound’s dynamic free-verse translations in a modern idiom formed the basis for T.S. 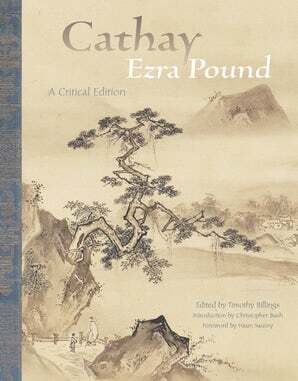 Eliot’s famous claim that Pound was the “inventor of Chinese poetry for our time.” The meticulous treatment and analysis of the texts for this landmark edition will forever change how readers view Pound’s “Chinese” poems. 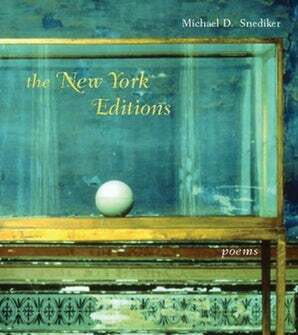 In addition to discoveries that permanently alter the scholarly record and force us to revise a number of critical commonplaces, the critical apparatus allows readers to make fresh discoveries by making available the specific networks through which poetic expression moved among hands, languages, and media. Amy Catanzano offers us a poetic vision of multiple orders and multiple forms, of a fluid time set loose from linearity and an open space that is motile and multidimensional. The work exists at once in a future-past and in a variety of temporal modes. At one moment the scale is intimate, at another infinite. She interrogates our means of observation and measurement (the telescope, the ice-core), our mappings, our cosmic calculations, our assumptions about cause and effect. In the background, “there is a war being fought,” though which of many wars—cultural, scientific, military—we are not told. In a time of displacement such as ours, she seems to say, in place of “universals” we must imagine “multiversals,” in place of the fixed, the metamorphic.